Today, when you order "Sponge Ball Magic (Booklet Only)", you'll instantly be emailed a Penguin Magic gift certificate. You can spend it on anything you like at Penguin, just like cash. Just complete your order as normal, and within seconds you'll get an email with your gift certificate. Magic with sponge balls is some of the most powerful in hte arsenal of professional magicians. With this introductory book on sponge ball tricks, you'll be well on your way to mastering this astonishing branch of the magic art. Basics learned here can be applied to other branches of magic. Edited by Gabe Fajuri this modern 32p booklet has clear and clean illustrations and clear descriptions (without any gooey, sexist, patter of earlier years. Covers all the sleights for the Sponge ball, plus some tricks, routines and accessories. Albert Gosh (first mass manufacturer of the 'Gosh' or sponge balls, in the 1960s)would be proud: purchasers may be confident they are getting value for money. This booklet is very informative and has many tricks included. For the price, it is a steal. There are many tricks like sponge appearances, vanishes, and color changes. There are pictures that shows the action happening. 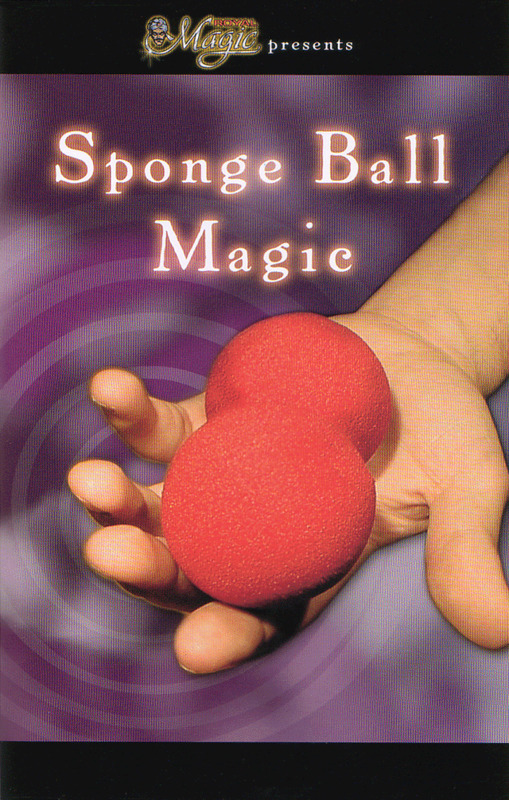 If you are new to sponge magic, please buy this paperback book. I just got these balls today and they are awsome!!!! It takes 5 minutes of practice and you're ready to start entertaining! ADD TO CART!!!!!!!!!!! This book is okay if you've never set eyes on a sponge ball before, but the explanations are a little hard to follow without reading the same sentence three times over. If you're willing to spend the time, get the book. Recommended only to novices. I got this in the beginners magic kit a while ago. I don't really like sponge magic that much, but it's a pretty good guide for those people who like it. It's mainly for beginners, and most of the stuff in it you can also find in "Bobo's Modern Coin Magic" for coins which almost all applies to sponges too. It's pretty much the basics of sponge magic and a few tricks. This is the easiest trick I have, but it makes a big impact on my friends!